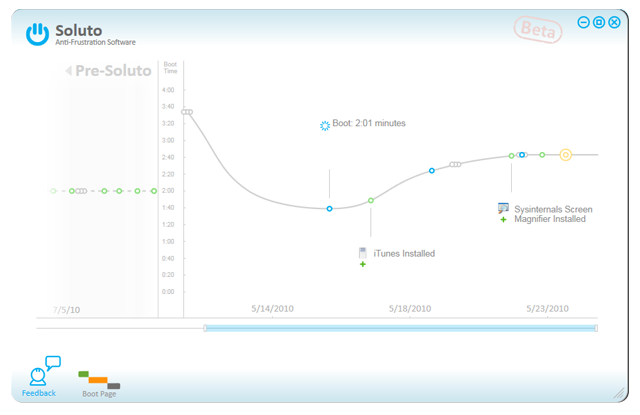 Soluto coming with tag-line Anti Frustration Software is the tool targeted at reduction of PC slowness. It checks the softwares are loading at the time of boot, time to load and gets you the information about them from PC Gnome, a knowledge base for Soluto to give you the option to delay or pause it to increase the speed of the system. Soluto uses innovative low-level Windows kernel technologies to identify what PC doing. 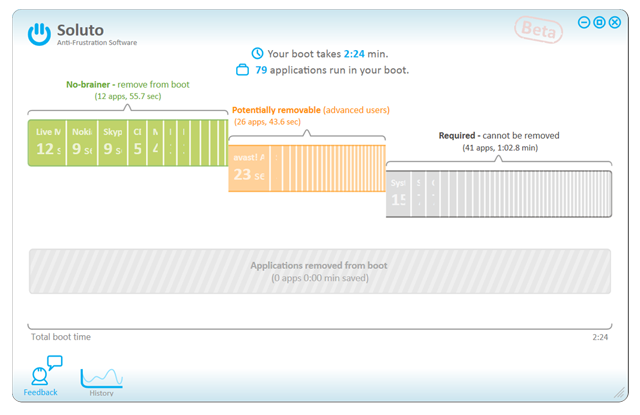 Soluto is able to pinpoint and analyze what resource obstacles stood in the way of the user’s desired actions. These can be I/O issues, network issues, resource locking, and so on.